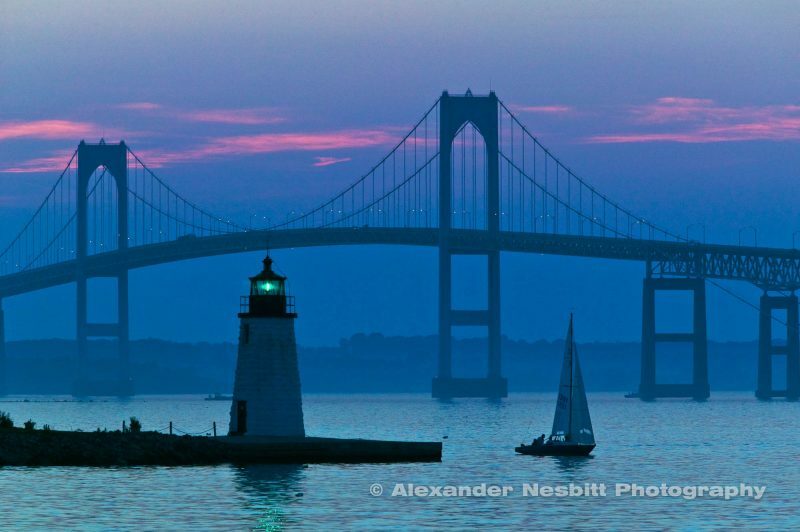 USA – Newport, RI – Blue dusk settles over the Newport Pell bridge, the Newport Harbor Light and a single sail boat. 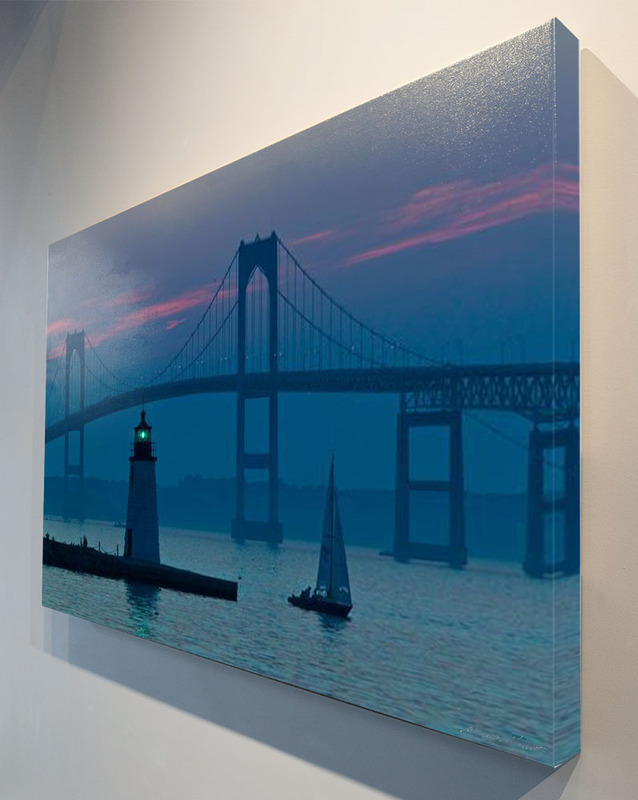 A lovely view of the Newport harbor at dusk. 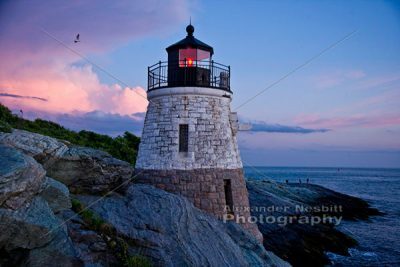 The Castle Hill Inn and Resort Lighthouse with pink storm clouds.